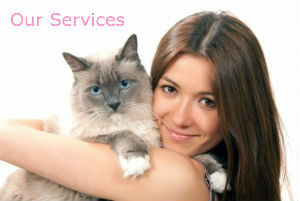 Whilst we would love to take really good care of your pets while you enjoy a well deserved holiday. A recent article in the Independent news paper suggested that nine out of ten pet owners take there’s on UK holidays. Rather than an emotional wrench many people look at the cost of boarding kennels as a major factor in taking this decision. The good news is… across the UK, the tourism industry is seeing the large market in welcoming our wonderful pets. Visit Cornwall is launching a free Dogs Love Cornwall guide in September, with accommodation options, plus walks and activities. Check out the Good Cornwell guide’s top 10 dog friendly beaches. You can also take your dog to the Isle of Wight and travel free on Wightlink ferries. They provide a useful guide called Pawprint with details of some lovely walks and dog-friendly pubs and accommodation. If you want the luxury of hotel accommodation, malmaison offers room service for dogs in its 12 hotels. Go one step further and treat your you and your dog to a retreat at theThe Ceridwen Centre. It is run by a spiritual dog trainier and owners learn techniques to improve behaviour and are given advice on canine nutrition, animal healing, communication and hypnotherapy. A 4 day stay cost £595 for the dog and owner and details are available from ceridwencentre.co.uk.